My name is Nicole and I am a Guacaholic. I love guacamole, I really do. I love the flavor and smell. I love that you can eat it with chips, tacos, rice, eggs… basically anything. When I saw a tweet about tickets for a guacamole event, Guacaholics Anonymous 2, I jumped at the chance to go and got tickets for Price and me. I live for events like this. 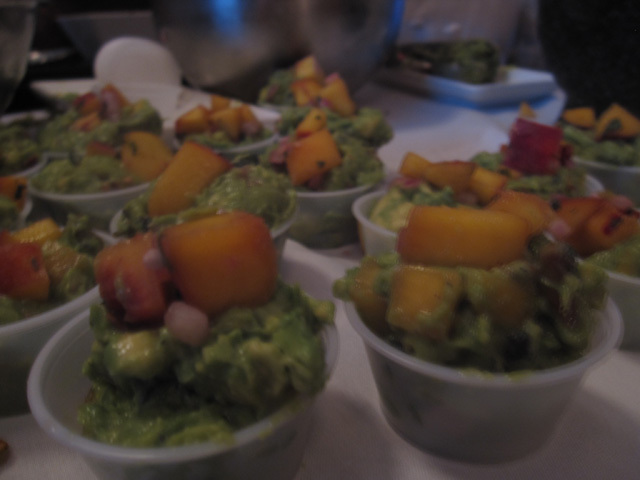 EatBoston creates fun events, like their Bacon & Beer one that we went to in 2010. 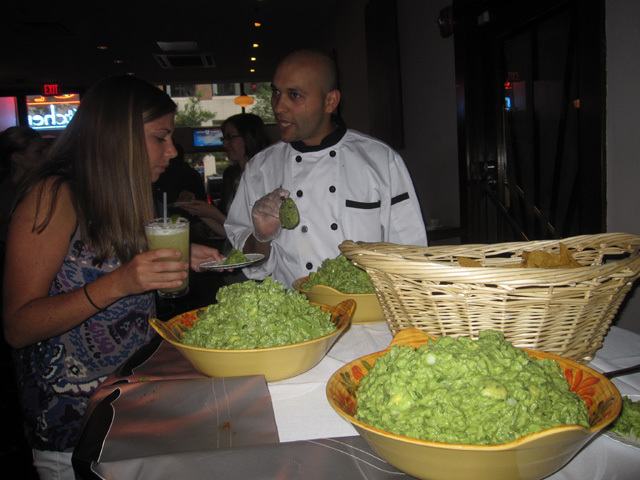 Being surrounding by tables and tables of guacamole is amazing experience. 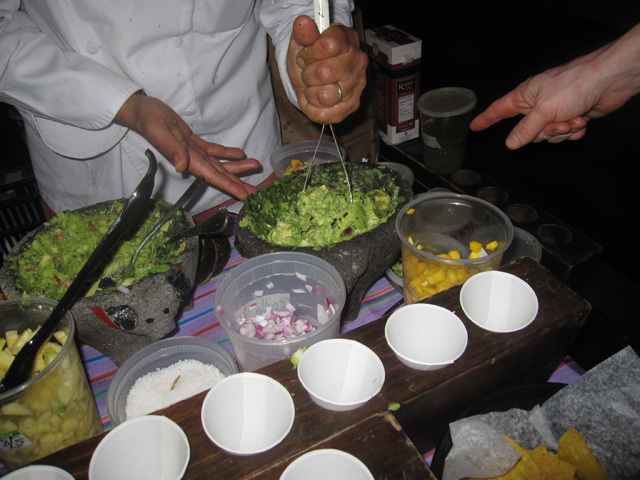 There were 8 restaurants and 2 bloggers showcasing their different take on guacamole. There were so many creative ways, some with fruit and some with bacon. It was great to see the We Are Not Martha bloggers again, and enjoy their guace that had bacon and corn in it. Also I met Justin Can Cook who made an Asian inspired guacamole with water chestnuts, ginger, and scallions. He offered the option of enjoyed the guac with crispy wonton noodles. A big thanks to EatBoston for organizing the event. Chef Brian Poe of the Rattlesnake for hosting it. 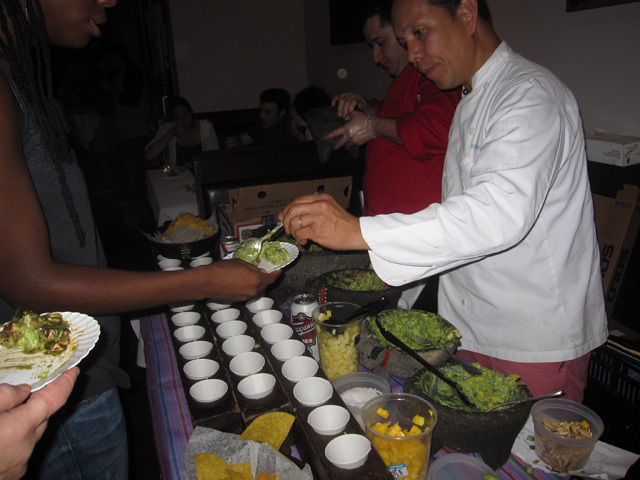 And a big thank you for the other participants that provided guacamole because this event was for a great local cause. The proceeds went to Lovin’ Spoonfuls, a “non-profit organization that facilitates the recovery and distribution of perishable and unserved foods that would otherwise be thrown away and wasted”. While I love guacamole I think we need to take a bit of a break from each other since I did consume 12 different kinds. But when I do make some again I know I’ll use my guacamole recipe. 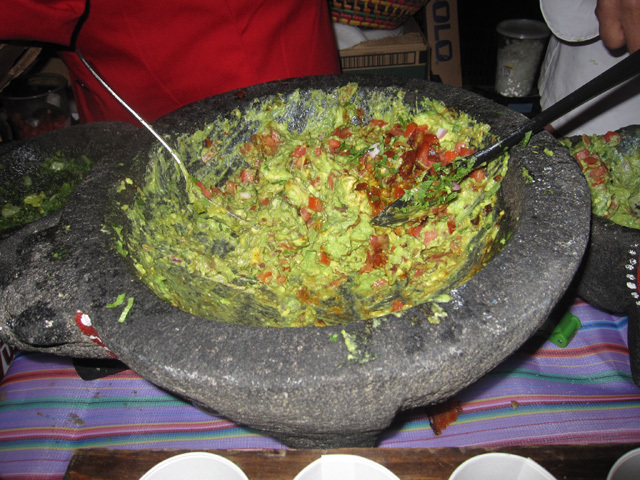 that’s a lot of guacamole – wow! I love guacamole too! Too bad I missed the event – hopefully next year I can attend! that is my sister in your first pic inspecting Temazcals guac! haha.